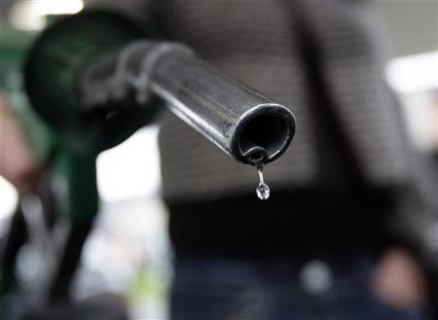 The amount the Federal Government is paying on subsidy for Premium Motor Spirit (PMS) has dropped to N4.48 per litre, as global oil prices continue to decline. The Petroleum Products Pricing Regulatory Agency (PPPRA), yesterday, put the market price of PMS at N101.48 per litre, as at December 12, 2014, compared to N108.38 per litre as at December 9, 2014. According to the PPPRA, the Expected Open Market (EOMP) of fuel is N101.48; Landing Cost -N98.15; Ex-Depot price is N81.51 per litre, while the regulated price is N97 per litre. Meanwhile, the Nigerian National Petroleum Corporation (NNPC) assured Nigerians that the ongoing strike embarked upon by members of the Petroleum and Natural Gas Senior Staff Association of Nigeria (PENGASSAN) and the National Union of Petroleum and Natural Gas Workers (NUPENG), will not disrupt the supply of petroleum products to members of the public. In a statement issued by its Group General Manager, Group Public Affairs Division, Mr. Ohi Alegbe, the NNPC described the queues as needless, advising fuel consumers to avoid panic buying or stockpiling of petroleum products, which could cause fire accidents that could lead to loss of lives and property. “It was in talks with the leadership of the unions who gave the assurance that they would not disrupt the fuel supply and distribution system as the strike was basically aimed at addressing the anti-labour issues by some of the International Oil Companies, IOCs. According to the Corporation and its downstream subsidiary, the Pipelines and Products Marketing Company (PPMC), there are over 32 days stock of petroleum products available for supply, while 17 additional petroleum laden vessels are at the Lagos Port waiting to discharge to the various depots for onward distribution to members of the public.